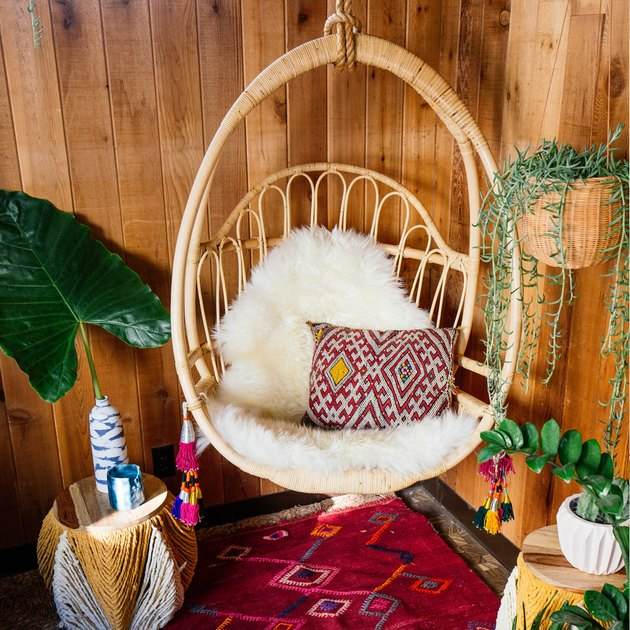 You'd be hard pressed to scroll through Instagram or peruse Pinterest without coming across a dreamy bohemian hideaway complete with a whimsical hanging chair. 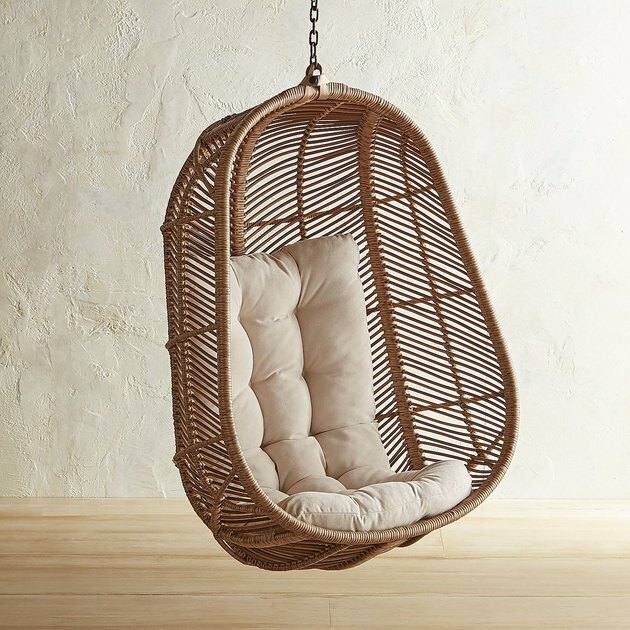 Crafted from a unique assortment of materials ranging from rattan to bamboo, this oh-so-popular suspended seating option exudes a stylish playfulness that we all crave. 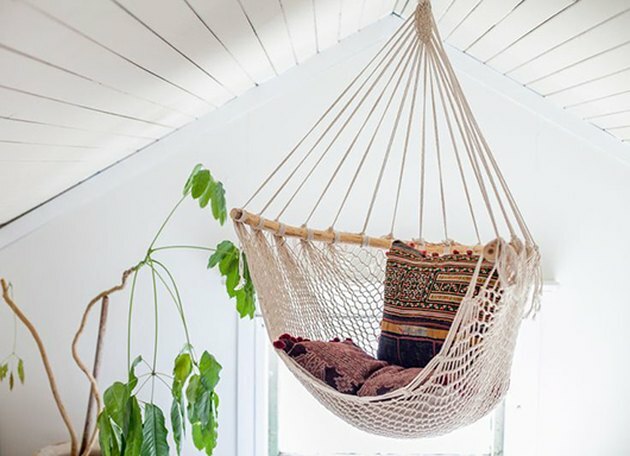 Whether you're creating a reading nook in a coastal retreat, or a quiet space for reflection in a boho-chic bungalow, these 13 hanging chairs won't disappoint. Pro tip: Before you make a purchase, be sure you can locate a sturdy ceiling beam to hang your chair. If you feel at all unsure, seek the help of a professional to make sure you'll be sitting pretty. 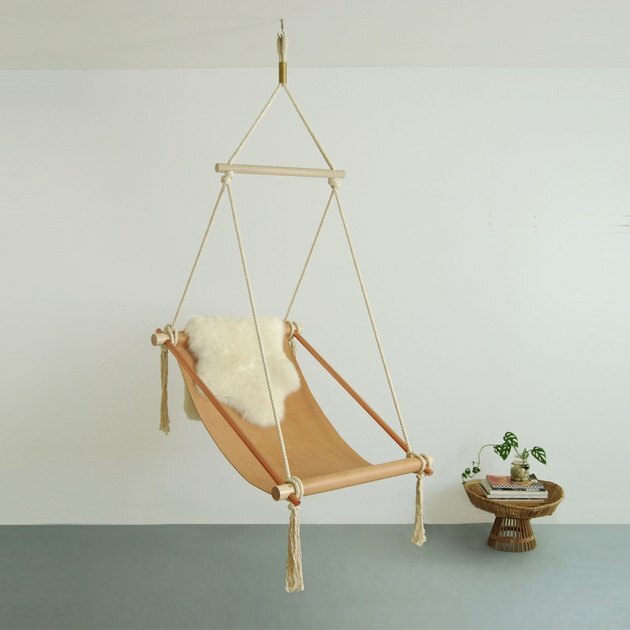 Make this handmade hanging pod your personal nest dedicated to relaxing. Reminiscent of a beachside hammock, the cotton rope and carved pine branch create a soft and comfy, yet well-supported chair that looks right at home in this bright and airy A-frame loft. This beauty is reminiscent of Scandinavian design from the '60s. It's available in two different colors: white and natural rattan. We just love the warmth it brings to this nautical-inspired kids room. 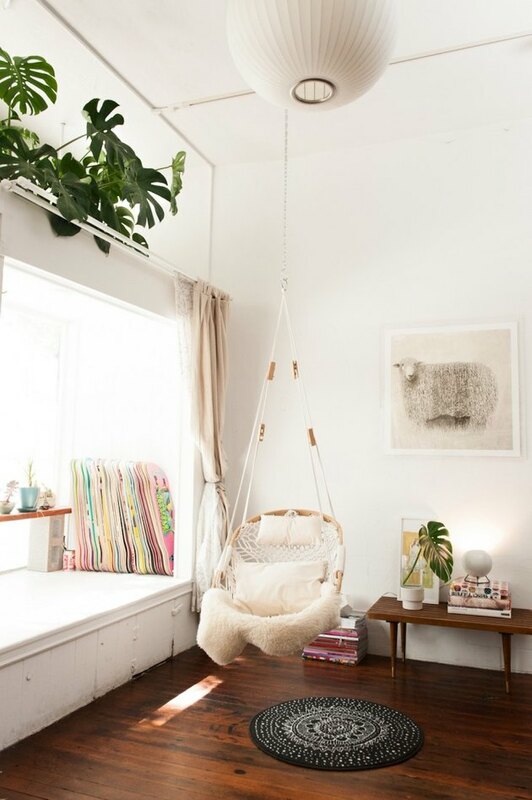 Made from locally-harvested oak and cotton-poly blend rope, this hanging chair is a bohemian dream. Sure to become the best seat in the house, this cozy recliner is giving the term 'window seat' new meaning in this San Francisco abode. 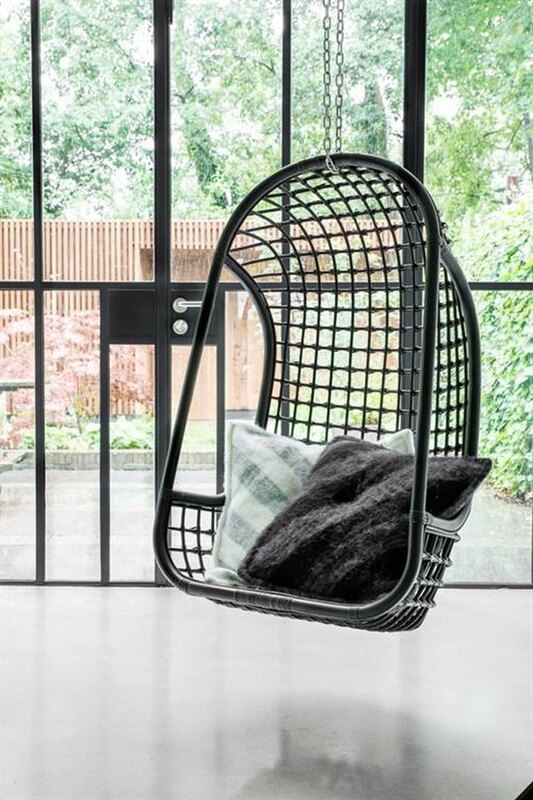 This hanging chair gives you the best of both worlds. 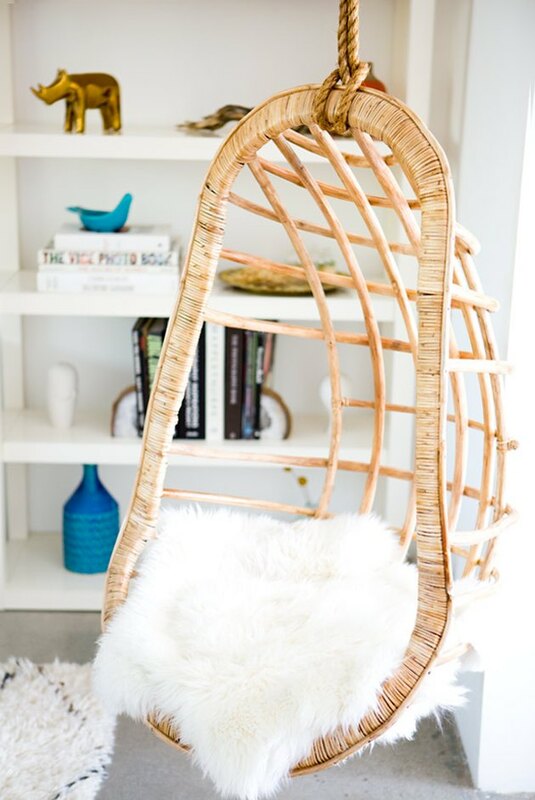 While the ultra-chic, black hue is a modern departure from the more natural colors you traditionally see, the dressed up woven rattan is still giving us the boho vibes we all love and adore. Designed by the master of bohemian style Justina Blakeney, of The Jungalow, this egg-shaped chair is a thing of beauty. Mixing things up with its unique open-rattan frame, this vintage-inspired gem looks even better with a couple of accent pillows and a comfy throw. The best thing about this reimagined porch swing is that it seats two (or one — very, very comfortably). This generously-scaled bench made from bent rattan is the perfect size for a lazy afternoon nap or an after dinner cuddle. 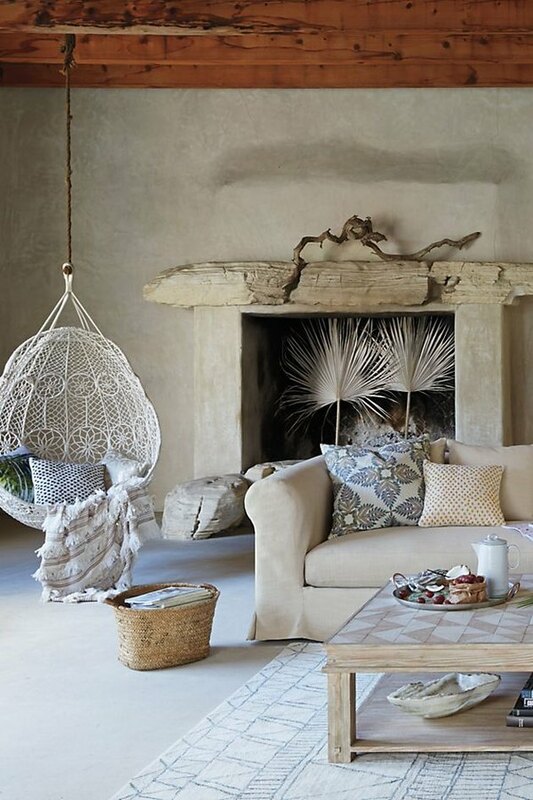 If this doesn't scream 'boho-chic' then we don't know what does. The macrame design takes inspiration from dreamcatchers, but this delicate beauty is best kept indoors away from the elements. 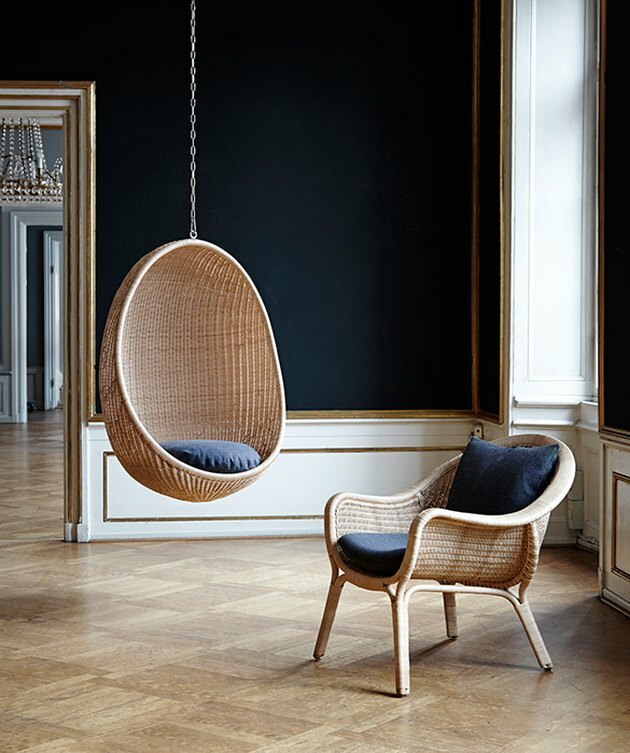 Designed by Nanna Ditzel in 1959, this Danish hanging chair is an absolute treasure. Crafted from woven rattan, the distinctively sculptural egg shape envelopes you like a warm and cozy embrace that you never want to leave. Durable enough to hang indoors or out, this handsome all-weather chair pretty much sells itself. The gorgeous hand-woven herringbone design of this wicker number really sets it apart from the rest of the boho pack. Imagine spending the day hanging loose in this airy number. 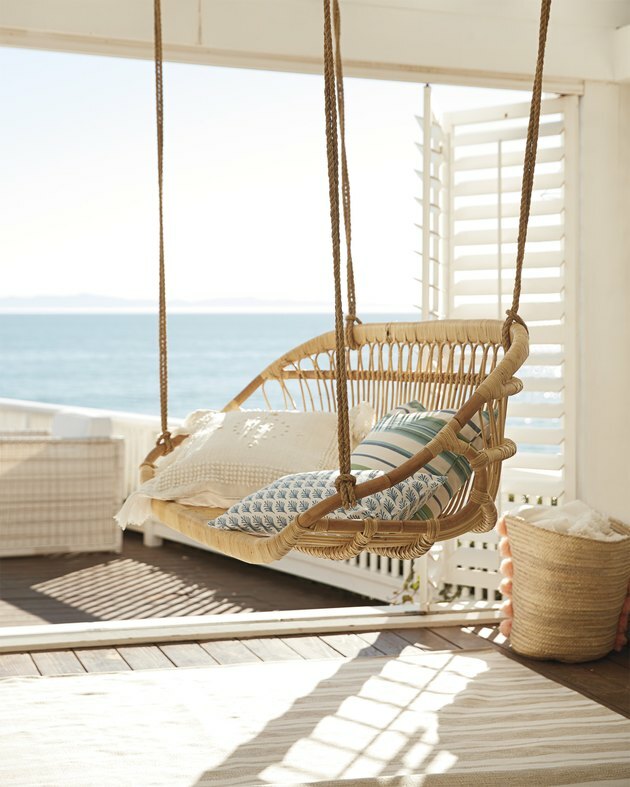 Made from rattan, this suspended chair exudes beachy-bungalow vibes that will make every day feel like a mini vacay. How cool is this modern take on the boho classic? 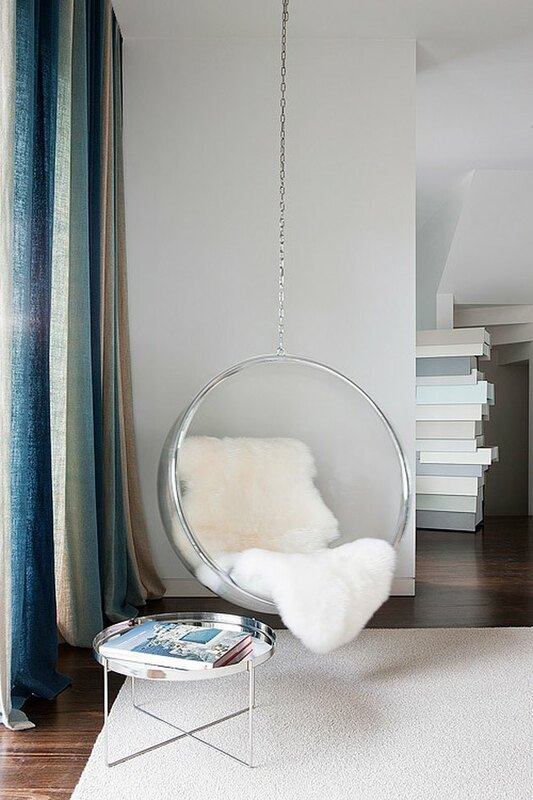 The spherical shape of this clear acrylic hanging chair sets it apart from the classic egg or pod-shaped designs. Thanks to the masters of minimalism Brooklyn-based Ladies & Gentlemen Studio, you can recline in style with this "reinterpretation of a classic sling chair." The simple leather seat is supported by a whitened maple and metal frame, and suspended by natural cotton rope resulting in a delicate seat that looks almost too good to sit in. 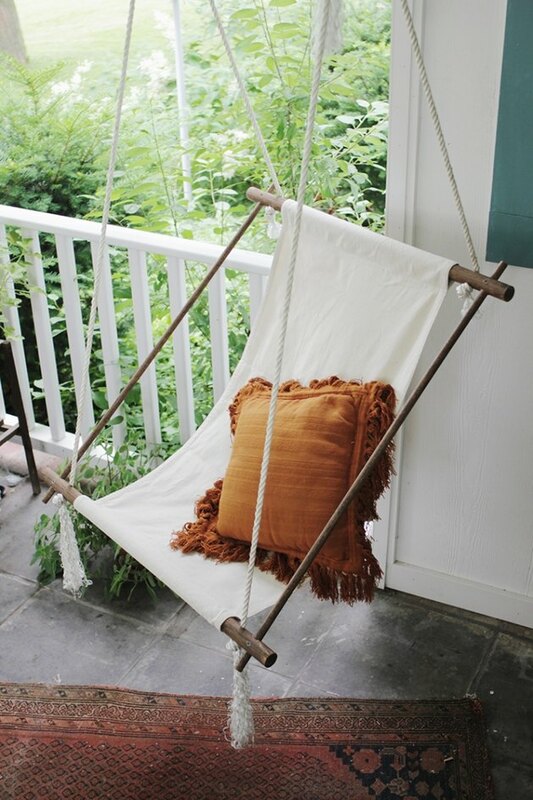 If you love the look of a sling-style hanging chair but don't really want to spend your hard-earned savings, try making your own with this little DIY project. The creative ladies at The Merrythought have created a handmade canvas version that looks just as good at a fraction of the cost.